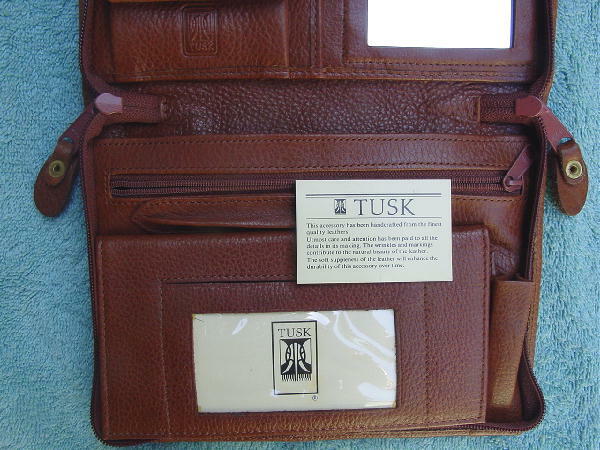 This never used Tusk dark caramel color leather purse has a 57" by 1/2" adjustable shoulder strap. 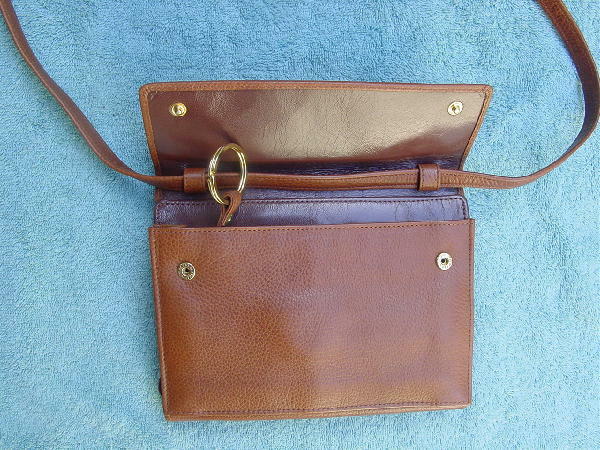 One side has an envelope styling with an attached interior leather strap and gold-tone metal key ring and a dark brown leather underside and dark brown grosgrain fabric lining. 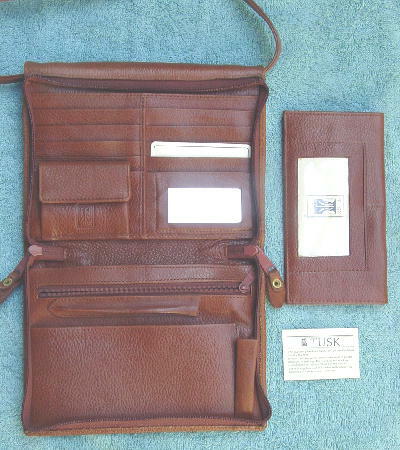 The other side zips on three sides and has 2 leather zipper pulls and the interior lower half has a removable checkbook cover, 1 pen holder, 1 lipstick holder, a zippered large pocket, and an open full compartment. 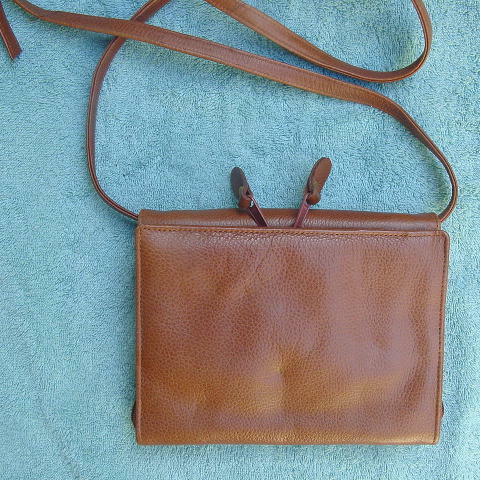 The upper half has 2 full back open compartments, 8 credit card slots, a one snap closure coin pocket, and to its right a small mirror. 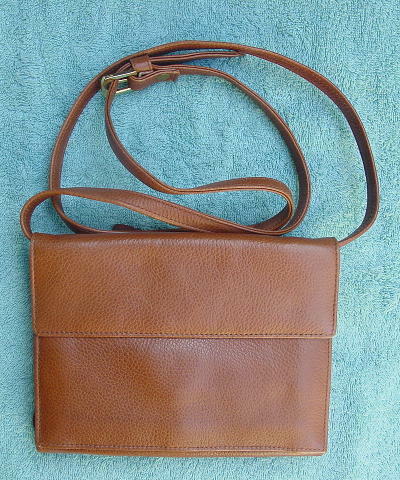 Both halves have the same dark brown grosgrain fabric lining. There are 3 manufacturer's cards.